The Lasix debate is going strong right now as the Feds in the States are looking to ban race day drugs. The prevailing viewpoint is that drugs do not belong in athletes, and that competition should pit natural talent against natural talent. Horse racing has always had a seedy side to it. From the use of cocaine at the turn of the last Century to the designer drugs of today, the idea of improving a horse's performance artificially to cash a bet or grab purse money is simply a reality in the game. The question is how prevalent it is. From many a horseman's perspective, if it isn't on a banned list and/or it isn't tested for, it is legal. And stretching that a bit for some operations, if you can beat a test with little risk, why not go for it? Horseplayers seem to be in favor of not only banning race day drugs but all performance enhancers. I'm really not sure why the Feds got involved. They had to have been nudged. Who nudged them? Certainly not an HBPA groups. And why Lasix, and not other drugs that are much more potent even if taken a few days out? One can Google search forever and still not find definitive results when it comes to concluding whether Lasix is needed or not. In Europe and Hong Kong and other jurisdictions, race day Lasix is not allowed, and reportedly most horses do not train on Lasix. However, there isn't much discussed about what they substitute, if anything, for Lasix, and what happens to most horses who are chronic bleeders. On the other side, most Horsemen in North America state emphatically that without Lasix, the percentage of horses who can not race anymore will be dramatically high. 1. Allegedly, around 5% of race horses most likely need Lasix in order to race. Again, this is a number that is speculated on. Prior to the legalization of Lasix, the amount of horses barred from racing was next to none. However, it is not known what percentage were retired or didn't make it to the races by choice. 2. It levels the playing field. Because Lasix is known to have other enhancement qualities other than preventing EIPH (for instance, it is a bronchodilator, which means it helps all horses breathe better). So, it just isn't fair that if a horse is a known bleeder that they should be the only horses to have the extra performance enhancements that Lasix gives a horse. Another argument is that consistent use of Lasix causes less erratic form that could arise from heavy bleeding of a horse one race to mild bleeding the next race. As a side note, when Lasix was first introduced, and only given to real bleeders, it turned out to be quite a handicapping angle. But now that virtually every horse in North America runs on Lasix, the first or second time angle means nothing. 3. If drugs are to be allowed, this is a cheap and powerful way to go. 4. The jury is out, but Lasix could have humane factors in reducing scar tissue by bleeders. 5. The controlled use of Lasix may prevent training outfits from experimenting and using other anti-bleeding medications that may even be more harmful to a horse's system than Lasix allegedly is. 1. It is a performance enhancer. Anything that potentially makes a horse run faster while having the substance in them versus not having the substance in them, in an enhancer. The "running to its potential" line is a pretty weak argument. It doesn't just help prevent bleeding, but also helps non bleeders breathe better, amongst other things as well. 2. It mask other drugs, and clouds tests. I know it, and you know it. Stop the nonsensical denial. Simply Google "Pass a marijuana test lasix"
Super Trainers are one of the biggest turn offs horse racing has to offer today. 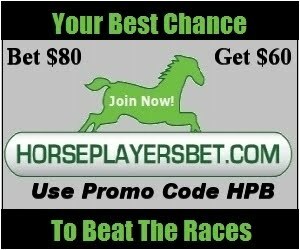 Not only for Horseplayers, but for honest Horsemen and as importantly owners and potential new owners. It is hard to get new blood in the game if you are consistently running for third money. Masking other performance enhancing drugs doesn't help the game at all. Outfits that experiment with drug concoctions leads to erratic performances, and this leads to lack of confidence from Horseplayers. 3. Lasix is a potent diuretic. The side effects are many. The fact that a horse needs an electrolyte jug after competition to replace vital fluids the horse lost from racing on Lasix is cause enough to question using the drug. It might even border on cruelty. 4. The North American breed is allegedly weaker because the best breeding candidates who have been successful on the track raced with Lasix. Would they still be running the same times without Lasix? Probably not in many cases because of the performance enhancement Lasix offers, whether the top horses were helped by bleeding less or breathing better, there is a good likelihood that a heredity weakness is being passed on today versus the pre-Lasix days. And there is the possibility that if Lasix wasn't used, we might see a whole different cast of top horses every year, probably running slightly slower final times collectively, but a much heartier group. 5. There is a correlation between horses starts per year and per life and Lasix usage over the past 15-20 years. Horse are making 2 less starts a year these days on average. Whether it is a direct correlation, the jury is out again. It could be a combination of Lasix and training strategies, the higher use of other drugs (legal and illegal alike), and/or the the higher frequency of detailing (tapping of joints, etc.) that is being used by more elite and/or high percentage outfits (where horses have the kitchen sink put in them for every infrequent race). 6. Lasix is not used race day in jurisdictions outside Canada and the USA. They seem to get along fine without it. It wasn't used in North America prior to the 80's either, and horse racing seemed to get along fine without it. 7. The elimination of Lasix and other drugs would most likely make it cheaper to own horses (providing they don't really need Lasix to race). Horses may run relatively slower collectively by a few ticks, but that really isn't relevant at all. Cutting the costs of horse ownership would most likely lead to owners having bigger stables, and it would entice newbie owners to enter the game. Horse racing would probably get along just fine if Lasix were banned on race day. However, Lasix seems to be the whipping boy of a more severe problem, and that is the other performance enhancing drugs and treatments (like EPO, DPO, synthetic venoms, and ITPP) that are being used by cheaters. Getting rid of race day Lasix is only a tiny step in leveling the playing field for bettors and honest horsemen. Solving the problem requires making an exact list of treatments and allowable drugs, as well as severely fining anyone caught using drugs or treatments not on the list. In Canada eh, we have a Sports network called The Score. Mostly it is known for sports news and recaps, and they also show quasi sports events like WWE, martial arts fighting, poker tournaments, and soccer. Oh, they also have horse racing. On Mondays, they do a harness show called Bet Night Live, and they do the same thing for thoroughbreds on Wednesday nights. On Sundays they usually show the entire Woodbine card (until the baseball playoffs begin). The Score is pretty much the place of final refuge for sporting events in Canada. And to show how much horse racing is falling off the map here, on the Score on Wednesday nights, instead of showing the first four races at Woodbine, soccer is taking precedence after two or three races are run. One aside, Canadians can still watch racing on a Premium Station (HPITV), so things aren't horrible here. The Queen's Plate generally gets covered on CBC (Canada's largest nation wide TV station), and I remember when the other Triple Crown events were shown on CBC or, CTV I believe, as well. Those days are gone, gone, gone. Anyway, on Sunday, Canadian racing's second Jewel of the Triple Crown (arguably the fourth to the eighth most important race of the year in Canada), was run at Fort Erie. The Woodbine Score show announced at the beginning that they would break away for soccer and come back to possibly watch a late race or two at Woodbine as well as the Prince of Wales Stakes....hopefully, if the soccer game didn't go into extra innings or whatever they do in soccer when the game is tied (actually, later in the afternoon, I found out they go into overtime). I guess that it needs to be mentioned that the filly who won the Queen's Plate, whats her name....OK Googling...Inglorious, was a no show for the Prince of Wales, which was run on a dirt surface, so there was no chance of a Triple Crown winner this year. That aside, this is still Canada. And the Prince Of Wales is Canadian content. I'm not sure if Brazil or Paraguay has a player on either team who has even visited Canada. But that is what won out over horse racing. Even though Fort Erie racetrack is literally 5 minutes away from me, I just couldn't get motivated to show up there because the idea of the heat and wall to wall humans just didn't do it for me. I wound up hanging at home, watching the soccer overtime hoping for a quick goal that didn't happen, and then the shoot out (since no one scored in the overtime). The shoot out seemed to drag on, taking forever to begin, and since I knew that the POW was moments away, I was wondering what would happen if the shoot out was to continue the same time the race began. I'm pretty sure they would have stayed on the soccer game, but the game was decided with a grand 4 minutes to post time, so I can only speculate. Even though the POW was only a 7 horse race, it did include a very exciting finish. Which brings me to the point about soccer. It seems that you have to wait intervals of around 10 to 15 minutes for a couple of seconds of excitement. It is very comparable to a live racetrack experience that way, but at least at a racetrack you know when it is going to be exciting. I just could never get into soccer. Paint drying, paint drying, paint drying, paint drying, oh there is a fly on the wall, I wonder if it will stick, paint drying, paint drying, paint drying. Now, I think it is a fair argument that horse racing is not really a sport (if you don't believe me, check out the Score's main page and look for horse racing news), but a game of chance, but soccer over horse racing in Canada? How far has horse racing sunk in the ratings for that to happen? I don't think Woodbine helps things when it comes to content (which I believe they control on the Score). On Sundays they show tracks like Belmont and even Monmouth ahead of the Canadian content that can be had at Fort Erie. I realize they probably make a lot more from their HPI customers at those tracks, but in order to build Canadian viewership in the long run, sacrifices need to be made. The Woodbine viewing audience is most likely more familiar with the Fort Erie horses (many come from Woodbine), and the breeders of Ontario horses and their families would most likely catch a glimpe of the has been it bred than a race from a US venue. Where is the bottom? Players continue to die off and they aren't being replaced. No reason for newbies to get into horse racing with its high learning curve. We need visible winners. That is what did it for poker. Sports betting and blackjack are perceived as beatable in the long term too, at least by a few lucky and smart gamblers. In other words, a carrot exists. There is no carrot in horse racing. At least we are seeing a slight trend in reduced takeouts. It needs to be faster. On the bright side, if you took California racing out of the equation, June's handle numbers might be close to on par with last year. I had to check, and yes, they are still racing in California. How long the track's can continue to absorb the losses thanks to the takeout hike is the big question? Don't expect honest answers though because they wouldn't admit it if they are only a few more boycotters away from going to 3 days a week. Today?," well the drug finally made it to print in the DRF. Stan Bergstein states that money is needed to test for the drug. Here we are, 9 months after a hack blogger (me) gets wind what is happening, and there still isn't a test for this stuff. By the time the racing industry gets off their butts, the next designer drug will come into play. This is just too frustrating. Not only do bettors like myself shy away from races with super trainers in them, but horse owners who don't have super trainers have no chance to make money. Either cheat or go for third money. Either pay huge vet bills and supplement bills or go for fourth or fifth money. Horse racing's high collective takeout rates already keep newbie Horseplayers away, now cheating trainers keep new horse owners away too. HANA (Horseplayers Association of North America) has come out with their 2011 track ratings. California tracks sunk badly, and the stats don't include this year's handle numbers which are down farther than the industry average. Woodbine climbed up to 23rd in overall ratings, but in order to crack the top 5, takeout on supers, pick 3's, triactors, and pick 4's need to come down. Apparently, according to Nick Eaves, they are working on a 2% reduction across the board, something Eaves stated was a priority when he took over the reigns at Woodbine last year. Fort Erie climbed up a couple of tracks thanks to dropping their Pick 4 takeout to 14%. CIS said Ohio racing must lower takeout rates “enough so that it becomes the lowest in the region and lures new bettors.” The consultants used Fort Erie Racetrack & Slots in Canada as an example, noting a reduction in the pick four takeout from 26.2% to 14% generated a 59% increase in handle in the first two weeks. In the fourth race, the first leg of the Pick 4, the favorite 1A Kiama out broke the gate yesterday. She overcame the weird start to win the race. However, the Stewards (flipped a coin?) and decided that it was an unfair start, so they issued a refund. Well, except for those holding Pick 4 or Pick 3 tickets. They wound up with the new favorite, who didn't wind up as the official winner. The problem is of course, that this looks like the exact situation that occurred last year when Fifty Proof broke through the gate and was allowed to keep the victory (in fact, there wasn't even an Inquiry). It would nice for bettors to have just a little consistency. Well, that is the excuse that seems to be prevalent over in California, as the leaders over there look to blame everything except their disastrous decision to hike takeout at the beginning of the year. It is estimated that handle at California A tracks will be down a whopping $400,000 million. The horsemen are getting a bigger cut of the betting, so the big losers are the tracks. I doubt the tracks will be able to hold out much longer before drastic action will have to occur....either that or they can rescind the takeout hikes. Meanwhile, it is hard to blame the economy when tracks like Will Rogers Down increased their handle by 92% during their meet that just ended. They increased their exposure, that was big, but they also maintained decent field size. Another big thing is that they sell their signal relatively lower than the average track. This is very appealing to bettors who get rebates. And with tracks in California going the opposite direction, tracks like Will Rogers win out from price sensitive bettors. Going forward, Will Rogers (it just doesn't sound like the name of a racetrack) should think of a name change, maybe The Great Race Place or something like that. Also, if it is the economy, how did Woodbine pull off a record handle last Sunday on Queen's Plate Day? Economies go up and down, and I'm sure horse racing has been affected the last two years. However, when the economy was on the rise, horse racing handle was still trending downward. With Horseplayers able to play just about anytime from just about anywhere, more than anytime ever, why is horse racing dying? It is the price of the product (the takeout). Horse racing is a thinking person's gamble. It has a steep learning curve too. How do you attract a thinking person to get motivated to learn the game when there are no visible winners? Secondly, horse racing is still gambling. I believe every gambler, no matter how outwardly emotional or how Spock like they are, get some degree of highs when handicapping and or placing a bet and or watching a race and or cashing a bet. The more races they handicap, the more bets they will place, the more races they will watch, and the more bets they will cash. All the above is predicated on churn. Churn goes up, the lower the takeout, and goes down, the higher the takeout. Keeping the gambler in the game is paramount in growing the game. Racing right now is focusing on lowering takeout on low churn wagers (Pick 4's, 5's, and 6's). This is just a competition for the existing Horseplayer. It does nothing to grow the game. Lower the takeout on WPS, doubles, exactors, and even triactors and dime supers, and then we might start to see actual growth. If you are a racing exec or in a Horseman's Group, read this article. One more thing. Why are so many Horseman's Groups involved in how much a track can charge in way of takeout? Does Royale tell Walmart what price they have to sell toilet paper at?